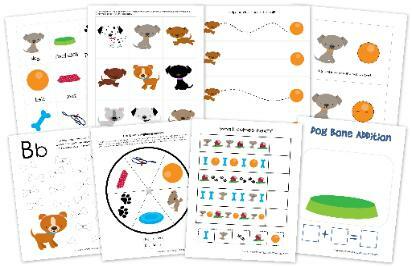 The Beddes Bunch: Craft Camp - Cats and Dogs! While we waited for the glue to dry we played with the magnet pages that I found here: http://muckmonsters.blogspot.com/2012/01/letter-p-p-is-for-puppymagnet-page.html The kids love doing this with all the colorful rocks and jewels. After the glue dried a little we sewed around the edges with a plastic canvas needle and yarn. I had to pre-poke holes in the felt for the kids so that they could sew it. After we sewed the edges and finished the bags, we had story time and snack time. 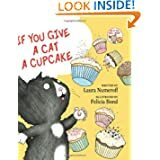 For the books this week, I chose If you give a cat a cupcake and If you give a dog a donut both by Laura Numeroff. I LOVE these books! There are several of them and they are so cute. They are great for cause and effect. The kids love them too and they think they are so funny. For snack we enjoyed some dog bone shaped graham crackers. The kids really loved this! The kids favorite ones were "How many Frisbees can the dog catch?" and "Doggie, Doggie, Where's your Bone?" I love how they all turned out so different. My almost 7 year old son did not want a cat so I told him we could try to turn his into a lion. I think it turned out pretty good. My 2.5 year old daughter is in love with the color pink, so we made her a cute little pink puppy. She carries this everywhere putting all sorts of fun things inside. She even sleeps with it sometimes! He is so proud of his creation!